to empower you to feature, curate and celebrate the music you love in your YouTube videos. But until now there was no way to know what would happen if you used a specific track until after you hit upload. 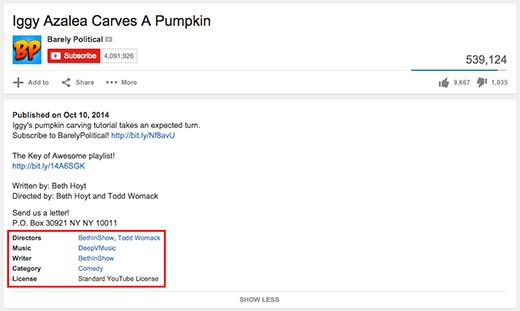 Starting today, you can search the YouTube Audio Library to determine how using a particular track in your video will affect it on YouTube, specifically if it will stay live on YouTube or if any restrictions apply. You can uncross those uploading fingers now! Let’s say you made a video with the new hit from Charli XCX. 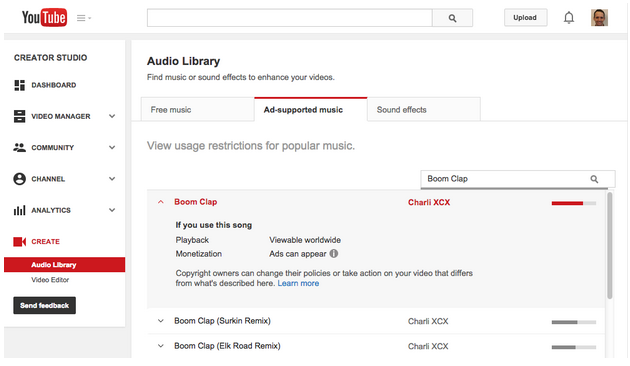 Search Boom Clap in the Audio Library and you’ll see the screen below, telling you what will happen if you upload a video with this song. If you plan to monetize your video, you can download thousands of songs and sound effects from the YouTube Audio Library to use in your videos without restrictions, for free, forever. Need the perfect Morning Walk song for your back to school video, or an Emergency Siren for your action scene? We gotcha covered. 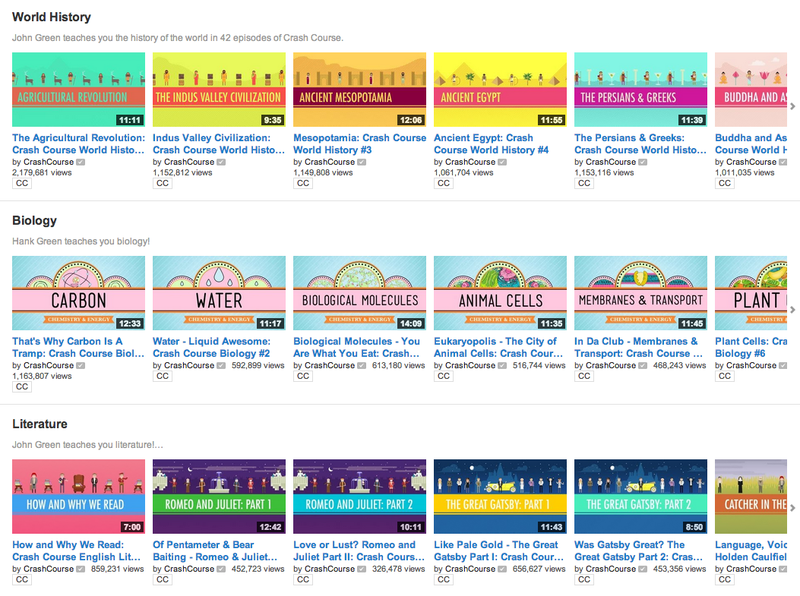 Great videos deserve a great soundtrack. That’s why we work with artists and music companies around the world to bring great music to YouTube. It’s why we’ve developed Content ID to empower you to feature, curate and celebrate the music you love in your YouTube videos. Tati joined YouTube, her username was GlamLifeGuru, which made her channel’s URL youtube.com/GlamLifeGuru. But as her channel grew, her fans embraced “Tati” as her brand. So her channel web address -- often the quickest way back for her fans to watch more of her content -- didn’t match her channel name and branding. To make sure creators like Tati and all of you have a consistent place for new and existing fans to find you, we’re introducing an easier way to pick custom URLs that match your channel names and branding. Starting this week, if you’re a creator with at least 500 subscribers, you may receive emails and in-product notifications if your updated custom URL is ready to claim. You’ll see several options waiting for you that are based on your channel’s description, Google identity and associated websites. 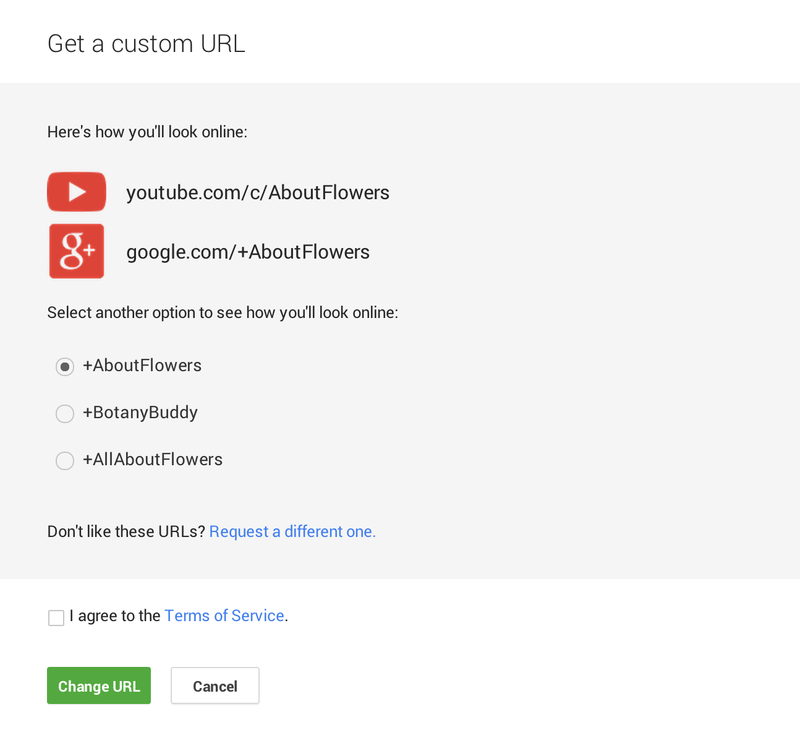 When you want to pick your URL, all you have to do is follow these instructions. Once you pick one, the new URL will automatically direct fans to your channel. Don’t have 500 subscribers yet? Try these tips to spur your growth. And don’t worry, in the meantime your regular URL will continue to connect people to your YouTube channel. When Tati joined YouTube, her username was GlamLifeGuru, which made her channel’s URL youtube.com/GlamLifeGuru. But as her channel grew, her fans embraced “Tati” as her brand. So her channel web address -- often the quickest way back for her fans to watch more of her content -- didn’t match her channel name and branding. on SiriusXM’s Hits 1 radio with host Jenna Marbles, millions of you have tuned in to hear your favorite established artists like Ariana Grande and new stars like George Ezra. The YouTube 15 even brought Jimmy Fallon and will.i.am’s Ew! to the radio (which eventually hit the Billboard Hot 100). Now we’re picking up the tempo with our second show powered by your YouTube views and programmed by SiriusXM: the YouTube EDM 15 on BPM, SiriusXM’s dance and remix channel. This weekly show will highlight breakout electronic dance tracks and remixes from emerging DJs and artists around the world, and it’ll all kick off on Friday, November 21. Rising EDM DJ duo The Chainsmokers will host the show, with other notable guest DJs dropping in during the weeks to come. The YouTube EDM 15 will air each week Fridays at 5 p.m. PT and again Saturday at 9 a.m. PT, Sunday at 5 a.m. PT, Monday at 7 p.m. PT, and Tuesday at 9 a.m. PT on SiriusXM’s BPM/channel 51, the SiriusXM app or online at siriusxm.com. Since we launched The YouTube 15 on SiriusXM’s Hits 1 radio with host Jenna Marbles, millions of you have tuned in to hear your favorite established artists like Ariana Grande and new stars like George Ezra. The YouTube 15 even brought Jimmy Fallon and will.i.am’s Ew! to the radio (which eventually hit the Billboard Hot 100). If you attend all of the sessions, you'll not only be a production expert in no time, but you’ll also receive a shiny letter of completion. Register now, and we'll let you know all the details. Creator Credits. These allow you to recognize contributions and collaborators on your YouTube videos, and today, we're expanding this feature to all channels with at least 10,000 subscribers. With Creator Credits, you’ll have the ability to feature collaborators -- such as your co-star, your video editor, or your boom mic operator -- on your video page. There are dozens of roles to choose from, and you can feature as many contributors as you like. These credits link back to collaborators’ channels and have a one-click subscribe option to both channels. Adding Creator Credits to a video is easy. When editing your video title, description, and other details, you’ll find a Video Credits section where you can select the roles of your collaborators and include their channels. Creator Credits will appear below your video’s description after clicking “Show more.” Visit our Help Center to learn more. Don’t have 10,000 subscribers? We're working to make this feature available to more of you soon. So many of you have turned the video description into your collaborator credit reel, sharing the love of all the other creators that helped make your video awesome. The shout-out is cool, but what if that shout-out was a direct link to your collaborator’s channel and made it easy for new fans to subscribe? At VidCon, we told you how we’re working on areas like this to help you build fan bases and make even better videos, one of the ways being announcing Creator Credits. These allow you to recognize contributions and collaborators on your YouTube videos, and today, we're expanding this feature to all channels with at least 10,000 subscribers. to bring a YouTube Space to São Paulo. Instituto Criar is an incredible non profit organization founded ten years ago by Luciano Huck that educates young students from low income families in film production. Through this partnership, all of the NGO’s students, as well as Brazil’s most talented YouTube creators, will have free access to high end audio, visual and editing equipment, in addition to training programs, workshops and courses. This collaboration follows in the footsteps of our YouTube Spaces in Los Angeles, London, Tokyo and most recently, New York City. Since the first Space was launched in 2012, more than 30,000 people around the world have attended over 450 workshops and over 6,000 videos have been created; garnering over 750 million views. Along with Google’s Engineering Center in Belo Horizonte and the upcoming Campus in São Paulo, YouTube Space @ Instituto Criar is another way for Google to help foster creativity, entrepreneurship and partnership with top organizations in the country. It’s amazing to see what creators have already been producing and we are excited to see what is coming next. Brazilians form one of the world’s most vibrant YouTube communities. They produce content for passionate audiences in a country where online consumption is amongst the highest in the world. To support this incredible community of YouTube creators and foster the next generation of Brazilian talent, the YouTube Space team has partnered with Instituto Criar to bring a YouTube Space to São Paulo. looks even more epic on the big screen, but finding the battle you want on your TV can take longer than it took Wallace to layeth the smackdown on Washington because of all the clicking around you have to do. That’s why you’ll soon be able to find videos you want more easily with the updated YouTube app for TV designed for the big screen, which will also bring you all the videos and playlists from channels. This update already started with Xbox One, and we’ll roll out the updated app to other streaming devices in the following weeks. The channels you subscribe to and videos you care about will be a click away with a guide on the left side that’s just like the guide you see on YouTube on your computer, phone, and tablet. When you sign in, you can jump to all the latest videos from your subscriptions and recommendations in the What to Watch section, or pop on a playlist you’ve liked such as Blogilates’ Cardio AB Attack and turn your TV into a workout buddy. Your favorite creators are making new playlists every day, and with the updated YouTube app for TV you’ll be able to see all of them. With new channel pages, you’ll see everything they’ve curated for you, helping you find even more to watch from your favorite creators. An Epic Rap Battle of History looks even more epic on the big screen, but finding the battle you want on your TV can take longer than it took Wallace to layeth the smackdown on Washington because of all the clicking around you have to do. That’s why you’ll soon be able to find videos you want more easily with the updated YouTube app for TV designed for the big screen, which will also bring you all the videos and playlists from channels. This update already started with Xbox One, and we’ll roll out the updated app to other streaming devices in the following weeks. for a second year, celebrating the renegade spirit of independent artists in film and music. Last year, Sundance became the first major film festival to curate and screen a short film program exclusively featuring videos on YouTube at their Next Weekend summer festival. At this year’s Sundance Film Festival in Park City, we also brought the YouTube experience offline, hosting panels, musical performances, parties, and even morning yoga. Now, we want to help even more filmmakers succeed online. If you’re in Los Angeles, join us on Saturday August 9, at 2 p.m. at the Ace Hotel to hear about how you can can find and build your audience on YouTube. We’ll share tips on how to engage your fans and foster grassroots movements that help you raise money and spread your message. RSVPs welcome. And if you’d like to attend Next Fest screenings, you can purchase tickets on the Sundance website. 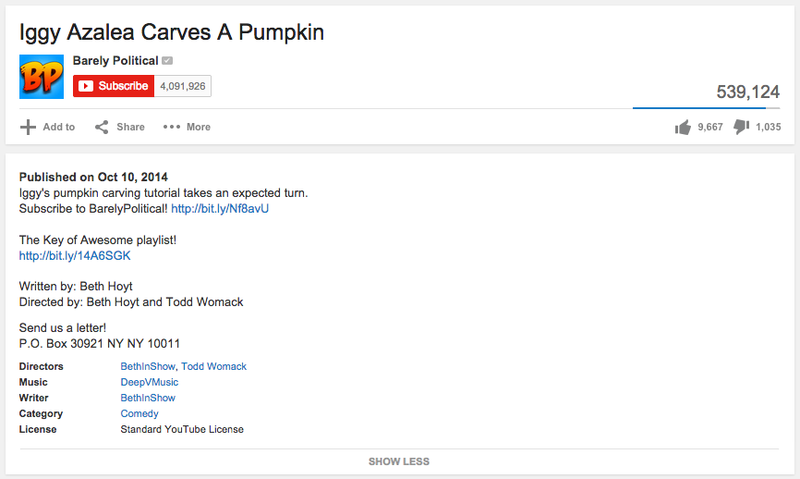 On YouTube, there are no limits to creative freedom. You can experiment and push the boundaries of distribution. With 1 billion unique users visiting YouTube every month, creators have an incredible opportunity to share their creative vision with the world. Check out the YouTube Creator Academy for tips on how to showcase your story to a global community. Film aficionados, take note: YouTube is proud to be a part of Sundance Next Fest for a second year, celebrating the renegade spirit of independent artists in film and music. CGP Grey starts his video with a question—“how many countries are there?”—to get the viewer thinking. The human brain will always want an answer to a question posed. By asking an intriguing question at the top of his video, he makes sure the viewer will stick around to find out what the answer is. Epic Rap Battles start every episode with high powered music, a shouting narrator, and their name bursting out of the screen. Their branding is strong and engaging, and the intro feels integrated into the content itself. New viewers immediately know what the show is about, and are primed to watch some high-energy fun. Within the first five seconds the viewer knows exactly what this video will be—a detailed run-down on liquid liner. By providing immediate context, Michelle shows people what they’ll get by watching the whole video and why they should stick around. Colin jumps right into action, drawing his viewers into his walkthroughs immediately. Rather than starting his walkthrough in a more straightforward manner, Colin’s raw intensity and enthusiasm are a more captivating introduction. For more tips on developing your creative strategy (and much more), visit the Creator Academy.